These upholstery cleaning tips are provided to you from Graeme Stephens an IICRC 2001 Master Restoration Technician. To help you the best upholstery care. For the upholstery cleaning experts, please phone 0800 783-266, or email Auckland Steam n Dry. Many of us are familiar with that feeling of falling head over heels for a piece of furniture. Most of all, because of how that furniture looks. Also, the feeling we get when we walk into a room and see it. If you want your favorite furniture pieces to keep their good looks over the long haul you’ve, therefore, got to get proper upholstery care and treatment. Upholstery care really needs to be part of your weekly house cleaning routine. 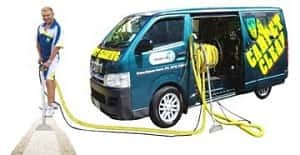 This means that when you have the vacuum out to do the floors, take the opportunity to vacuum upholstery too, at least on a weekly basis. Vacuuming furniture removes surface dirt. Which in turn prevents that dirt from becoming embedded in the fibers. You can also use a soft brush to whisk the dirt away instead of vacuuming if that’s your preferred upholstery care method. Any furniture with loose cushions deserves to have those cushions flipped and rotated periodically. This can dramatically extend the life of the furniture, because, wear and tear will be distributed evenly and cushions won’t develop indentations. A little fluffing will help keep those cushions looking good as well, and, should be part of your regular upholstery care. Try to keep your furniture out of direct sunlight to avoid fabric fading. Silks are particularly sensitive to the sun. If upholstered furniture does receive direct sunlight, consider slipcovers as a part of your upholstery care tips strategy. Also, keep in mind that fabric can be easily damaged by airborne pollutants like smoke. Even fumes from cooking can be harmful. 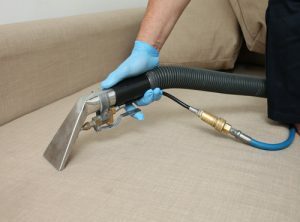 Proper ventilation can help significantly in providing good upholstery care since it’s not easy to avoid cooking fumes. If you want to avoid stains and dirt on your furniture. Set up rules to avoid this from happening. Do not allow anyone to eat on the couch, love seats or chairs. Choose dining room chairs that come with removable, and, machine washable covers if your chairs have fabric seat cushions. Keep those shoes off the couch. In some families, it’s a tradition to take shoes off in the foyer to, furthermore, prevent general tracking of dirt. If there are pieces that you are particularly fond of, it’s probably best to keep pets out of the room entirely. Rather than try to train them to stay away from certain furniture. Few people realize how much of a difference a fabric protector can make. If stain-guarding is an option it’s usually worth it. When your furniture is already protected, stain removal can be as easy as blotting it up. Regardless, of whether you have scotch-guarded furniture, it’s best to act quickly when it comes to stains. Blot up as much of the liquid as you can with a clean towel. Never rub the fabric as part of your upholstery care, because, this can cause more damage. Use a spot cleaner specifically meant for upholstery. Making sure that you read all of the manufacturer’s instructions firstly. Furthermore, test the product in an inconspicuous area to make sure that it does not damage your fabric. Use a soft brush to gently work the cleaner into the fibers in a circular motion. Then, vacuum when it’s dry. Even with good routine upholstery care, we can’t keep fabrics looking brand new. Every couple of years or so, you may want to have a professional come into your home to deep clean your upholstered furniture. For upholstery cleaning professionals, phone 0800 783-266, or email Auckland Steam n Dry upholstery cleaners.